There is something about lazy weekend mornings that I love. The truth is- I am not a sit down and relax type of girl. I have tried meditating, yoga, and nothing really works for me. I guess my method of relaxing is all the cooking and baking I do. I also love to clean……MAN…I AM SO LAME! When I don't feel like doing my usual weekend breakfast spread- I make biscuits. They’re fast. They’re easy. They’re tender. They’re flaky. They’re delicious. By the time your oven preheats, you’ve assembled the biscuits and they’re ready to bake. Then, by the time they’re done baking, you’ve had time to clean up your mess and have half of a cup of coffee. 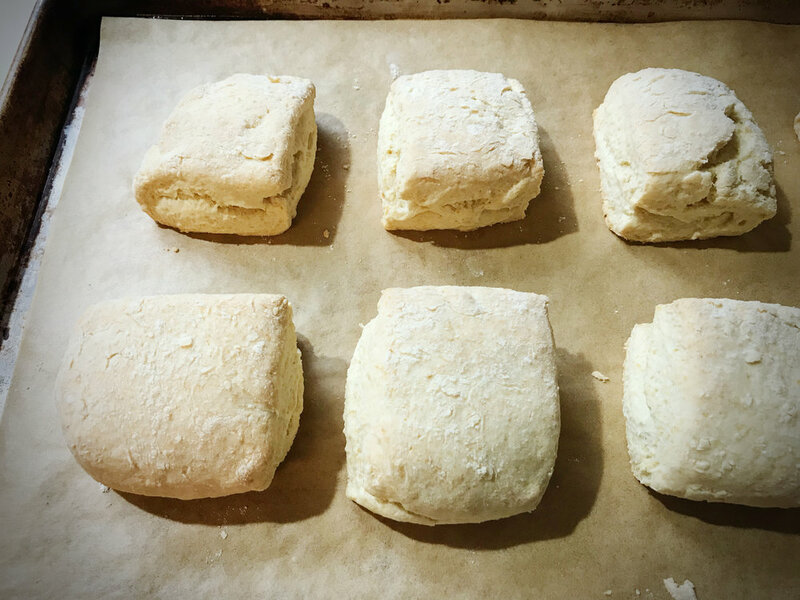 This buttermilk biscuit recipe is on repeat often at Chez Honest Spoon. I just put some butter and a couple different jams on the table and everyone is happy. Quite frankly the simplicity of this never gets old. If you’re feeling frisky, you can scramble up a couple eggs and call it good. As with any recipe associated with the words “tender” or “flaky” you have some ground rules. The butter has to be COLD all the way through the process and up until it hits the oven. What does that mean? It means you have to work fast. The other rule- don't overwork the dough. We aren't kneading bread here- just quick, light, and fast touches. As you will see below, the process goes quick with a food processor and that’s by design. 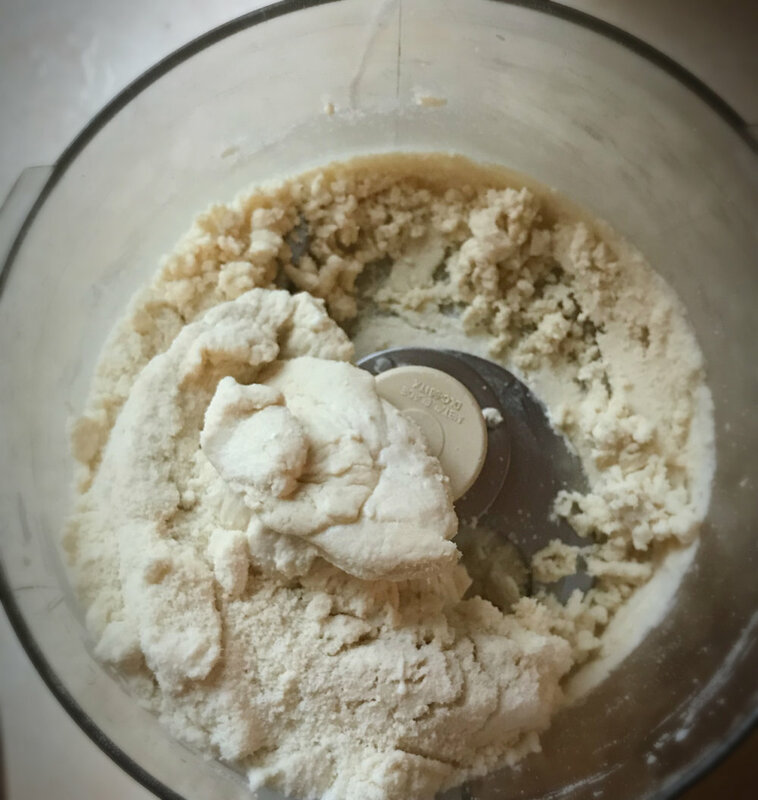 When you use the food processor, you aren't touching the dough until the final stages. Your hands will warm the ingredients so once you turn the dough out onto your prep surface it’s fast work. Once you’ve done it a couple of times you will get the hang of it!!! 2. Add the dry ingredients to a food processor and pulse until well mixed. About 5 seconds. 3. Add cubed butter and process until butter is the size of peas. About 30 seconds. 4. With the processor running, slowly add buttermilk and process until just mixed. about 10-15 seconds. 5. 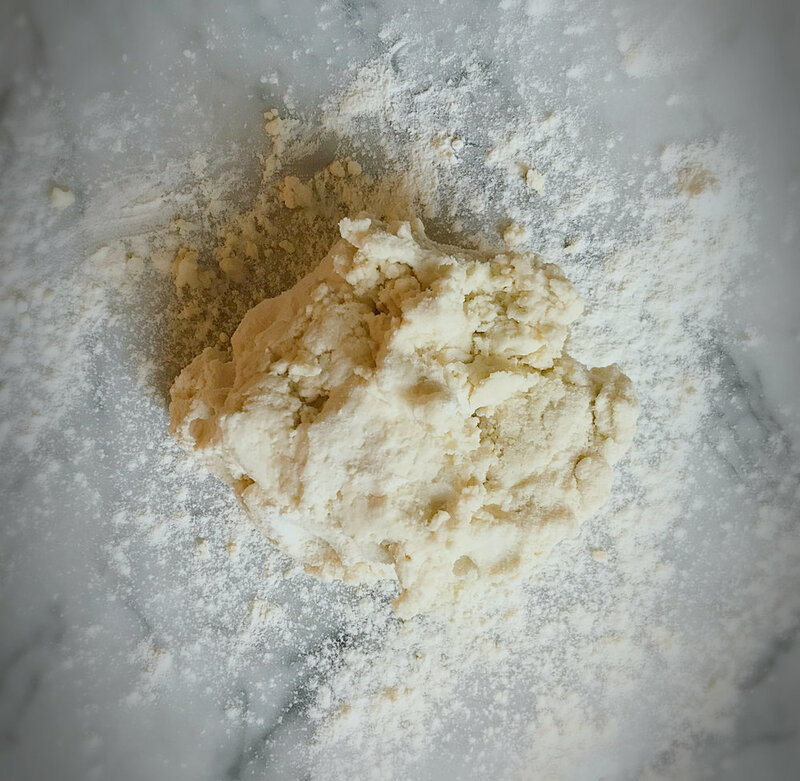 Remove dough from bowl and place onto a floured surface. Quickly and gently pat out into a rectangle about 1/2- 3/4 inch thick. Fold in have once and pat into a rectangle that measures roughly 5”x10”. Cut into 8 even squares or use a biscuit cutter. 6. Place onto a parchment-lined baking sheet. Bake for 20-22 minutes or until lightly golden brown. Serve immediately. TIP: the key to light and flaky biscuits is to keep the butter and buttermilk cold. You want to work quickly and not overwork the dough. PRO TIP: the photos above show that I folded the dough in half only once. This is because I like the way the biscuits bake into an almost pre split/ no knife needed type of biscuit. If you want more layers, just add more folds. 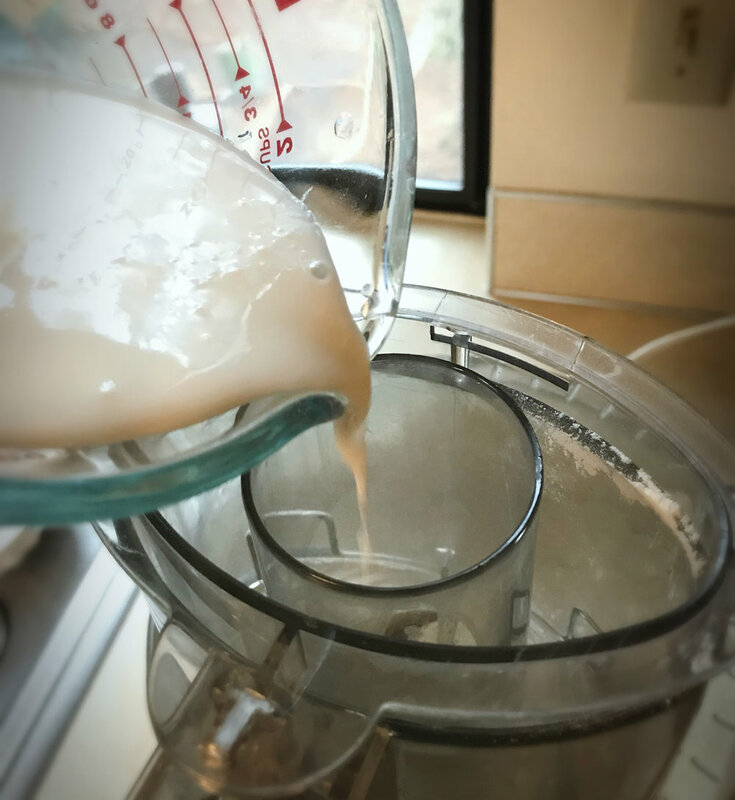 Do it quickly to keep the butter and buttermilk cold!! There you have it! They truly are fast and easy! Enjoy!